This home was completely renovated in 1998 with a full 40' long deck, and a screened porch, there are views from almost every room to enjoy those wonderful Cape Cod Bay Sunsets and the everchanging Marsh. There are 3 bedrooms & 3 1/2 baths, Natural Gas Heat. 1st floor master w/private bath, Living Room with fireplace gas fireplace/stove. Separate dining area and kitchen w/lots of cabinets. 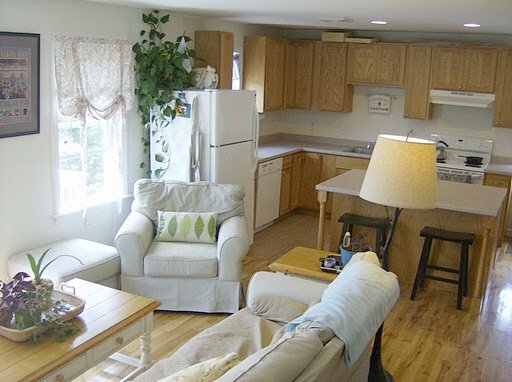 2nd Floor offers 2 more bedrooms (1 w Private Bath) and 4th Bathroom. Other Amenities are a front porch about 28' long, a 1 car garage & a generator. More! 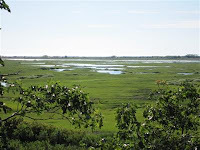 If you love those Marsh and Bay Views call me to see this property. Listed at $875,000. Check out a Google map, and more photos... Here. If you'd like to see it, please give me a call at 508-237-9545. Maybe a bit over-said, but 250 to 400 gray seals have moved to a sandbar between Head of Meadow and High Head beaches. 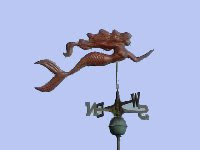 They are especially visible, just off shore, at (or near) low tide. It's noisy, it's smelly, and it's a lot of fun. Check out the article on the Cape Cod Online website. Wanna Mess Up A Closing? or starting a new job. Don't do these! Read the details in the BankRate article...Here. I stopped by Hemenway Landing a few days ago and shot the following photo of the boats and view. Enjoy! The first half of 2010 showed a significant uptick in the number of sales, when compared with 1H2009. We saw 52 single family homes sold through June 30th, this year, compared with only 30 last year. The median sale price was also up, by 9.8%. Both of these 'ups' are compared to the ugliest year (ie 2009) we've seen in a long time. Below is a chart from my newsletter that shows the cumulative sales by quarter for this year compared to the last 2 years. To see the details behind this chart, follow this link to see the home sales from the first 6 months of 2010... here. 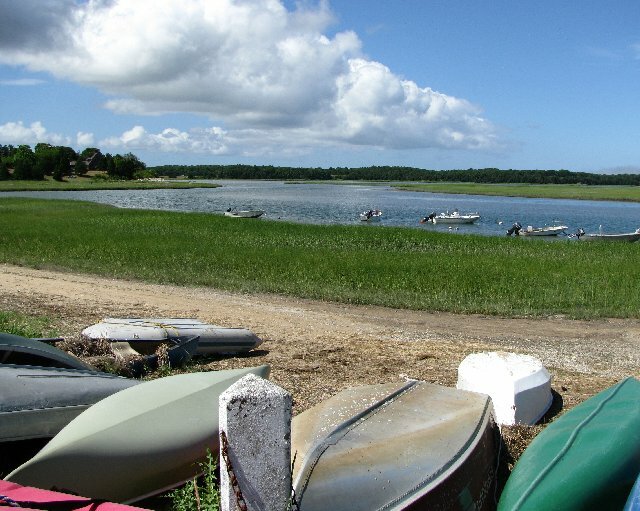 HGTV's FrontDoor.com featured Cape Cod as one of 5 beach towns in an article about the pros and cons (mostly pros) of living in a vacation beach community. Although I'd be hard pressed to call all of Cape Cod a beach town, the article fairly well sums up the good life that Cape Cod has to offer. Factually speaking, Cape Cod is a bit larger than the 413 square feet that the article says it is (it should be square miles). The other 4 highlighted towns are Myrtle Beach, Naples, Santa Cruz, and Ocean City, NJ. Go check out the article ...here. 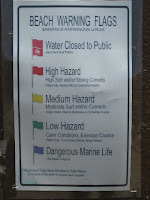 The National Seashore uses a set of flags to inform (warn?) folks of the condition of the swimming beaches on the Cape. It's a fairly simple set, with the current condition flag posted for all to see on the head lifeguard's chair. The blue flag is for 'Dangerous Marine Life', which includes sharks. Far, far, more dangerous to swimmers are rip currents. These would be red-flagged. 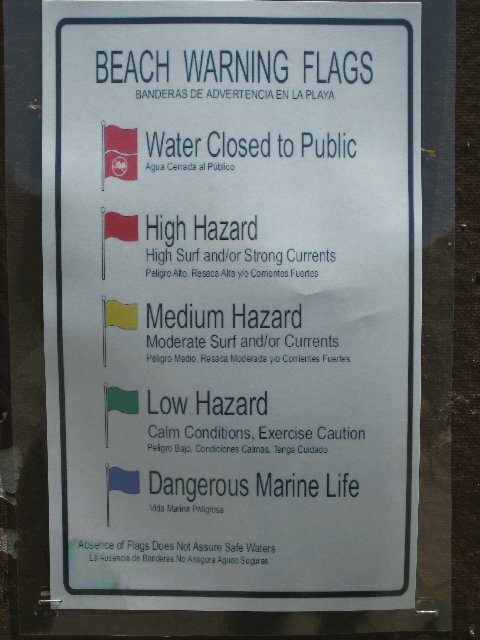 Also, note that there is a beach closed flag, red with a swimmer X'ed out. We saw this flag last summer after a hurricane missed the Cape, but the waves came on-shore for a few days. Click on the image (right) to see the flags. 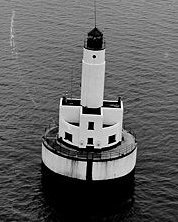 Wanna Buy a Lighthouse? Great Water Views! Ever thought of buying a lighthouse? They tend to always have great water views, but not always the best locations. This one, known as the Cleveland Ledge Light, sits out in the middle of Buzzards Bay and has been guiding ships into the Cape Cod Canal since the early 1940's. The Federal government has deemed it unnecessary and it is being offered, for free, to any eligible entity (historical group, government, etc), but it will be auctioned off to the highest bidder if none step forward soon. Read this story on the Cape Cod Times website. And - start preparing your bid! Radio Controlled Fishing Buddy - Ugh! I saw this toy in the Bass Pro Shop circular a few weeks ago which really caught my eye. 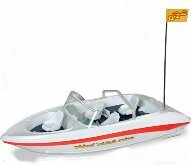 It was a radio controlled speedboat with a built in fishing mechanism that would allow someone on shore to fish beyond where they could normally cast. The boat could deliver a baited hook and bobber a fair distance away from shore. All the 'fisherman' has to do is watch the bobber and then drive the boat back to shore with the poor unfortunate fish. This product, called an Aviva Fishin Buddy, sold for $39.99 for Fathers' Day. Since the promotional literature says that it will catch fish up to 2 pounds, what happens if a larger fish chomps on the bait and gets caught? Does IT drive the boat where IT wants to go? Whats the likelihood that the catch will capsize the boat? This product has a few reviews on Amazon - mostly awful. Many of the reviewers never got the boat running well enough to find out any of the above answers. Ugh! My August Eastham real estate newsletter is available now. This issue has my mid-year report of the Eastham real estate marketplace. 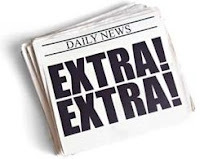 Also, you'll find 2 new listings, a discussion of the record low mortgage rates, and my book review of a book chronicling the Cape Cod National Seashore's first 50 years. In short, the Eastham market seems to be improving, both in terms of sales volume and sales prices, back to the pre-2009 levels. Yeah! Download your copy of my August newsletter ..Here. Does it get better than this? My fascination with 18th century shipwrecks and my interest in the construction at NYC's ground zero have come together in a recent discovery of a 30 foot section of wooden hull, presumably of a 1700's ship. The excavation has just begun, but one theory is that the ship was used as part of landfill when New York's Manhattan Island was extended southward. Read about this discovery, and check out the photos, on the New York Times website. The next new year (ie 2011) will bring about a few tax changes that are the result of the expiring of the "Bush Tax Cuts". There's reason to believe that at least some of these tax cuts will extended, but for now you'd be wise to plan the remainder of the year as if they will expire at the end of the year. SmartMoney Magazine ran an article that should be required reading for all taxpayers (those of us who actually pay taxes). 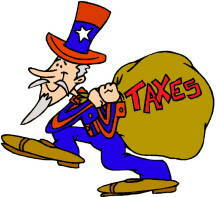 See how the expiring Bush tax cuts will affect you....Here. Although it may seem to be a long time for some, 50 years is a short time in the life of a national park. 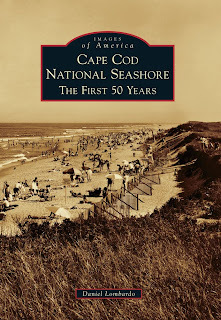 The Cape Cod National Seashore has it's 50th birthday next year, on August 7, 2011. The National Seashore was born in 1961 with John F. Kennedy's signature. There is a new book, available starting tomorrow, that captures the first 50 years on the Seashore in images. 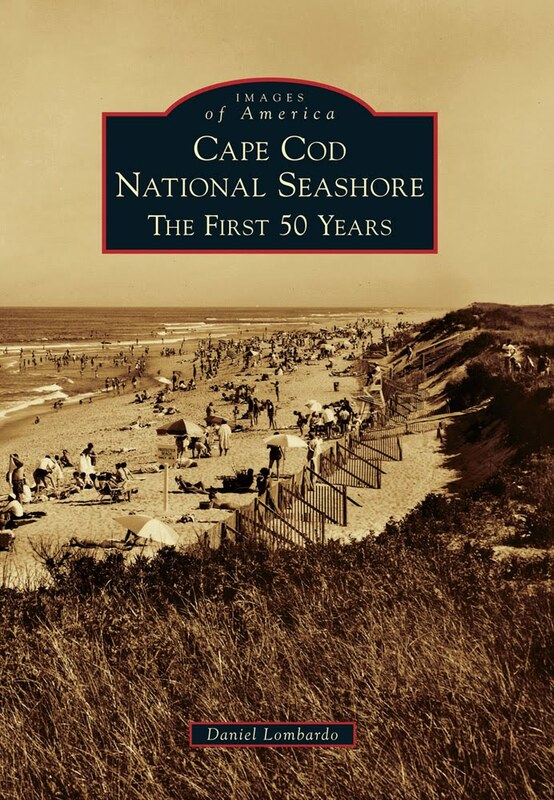 The book is aptly titled "Cape Cod National Seashore: The First 50 Years" by Daniel Lombardo and published by Arcadia Publishing. This book starts with the creation of the Cape with the receding of the ice sheet marking the end of the ice age, but quickly jumps to the 1800s and 1900s as it chronicles such happenings as the many shipwrecks, building of the lighthouses, Henry Beston's Outermost House, and Marconi's wireless station, just to name a few. The development of the Seashore, from concept to completion, is shown with a number of photos of local and national politicians visiting the Outer Cape to see for themselves what a treasure they could preserve for future visitors. It's difficult in any review to capture the fullness of a historical perspective. It becomes even more difficult when the book is comprised of so many historical photos. I especially enjoyed the early photos of the Seashore, with the early signage, the cars on the beaches, the movement of lighthouses and life saving stations, and of the people enjoying the water and sunshine on the beaches. 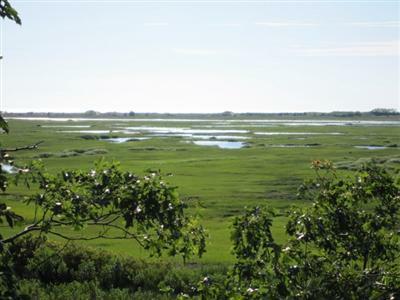 The Cape Cod National Seashore is certainly a gift given to the present by the some wise souls of the past. This book, with its many pictures and commentary, shows us that it was no easy task to create the Seashore, but its creation preserves a rich past for our present-day enjoyment. Get this book and see for yourself. It's a light read, lots of fun. This book is available from local retailers, online bookstores, or through Arcadia Publishing on their website. This book is priced at $21.99. 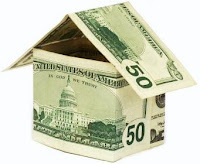 If your primary home is off-Cape and you own a second home in Eastham, then you need to keep up with the issues and attend the annual Members' Meeting of the Eastham Part-time Resident Taxpayers Association (EPRTA). This year it will be held at 9 AM on Saturday, July 10th, at the Elks Club on McKoy Rd. The meeting is open to non-members. Membership is cheap ($20) and they have a very informative quarterly newsletter. The officers of this group work hard to keep the Eastham town officials aware of the issues that concern part-time residents. Go to their website to see what the EPRTA is about and to download their most recent newsletter (where I provide their real estate update) . It's hard to complain about this July 4th weekend. 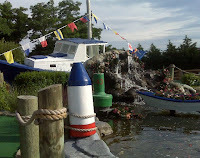 With the weather close to ideal, the fireworks and picnic on the beach on Friday were fun, the BBQ Saturday with friends was great, and Sunday's miniature golf with ice cream a nice way to end the 4th. The photo (right) is of the Cape Escape Miniature Golf park, in Orleans. That said, I had showings Friday, Saturday and Monday (tomorrow). The summer folks are here. The beaches, stores, and restaurants are full. Life is good! The Cape's Outside Showers Are A No-No! It seems that just about all our guilty pleasures are wrong on some level. 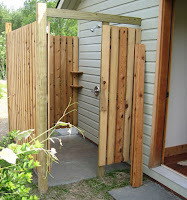 The latest is the coveted Cape Cod outdoor shower. 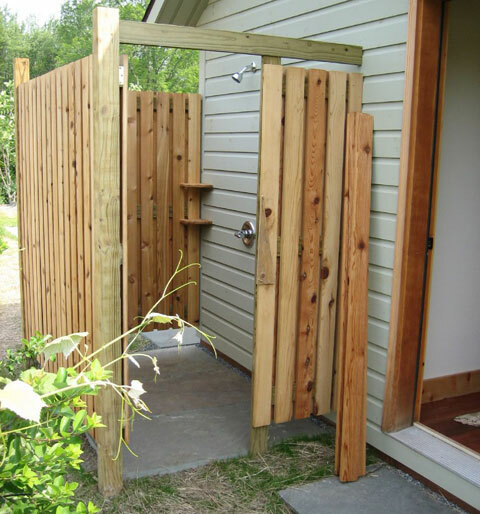 It seems that the outdoor shower, technically, should be drained into the home's septic system (according to Title V rules). The grey water, with its soaps, should not be just drained into the soil, as 99.99% of all outdoor showers do. But (BUT!) the drainage of rain run-off into the septic system is prohibited. This creates a new problem - controlling the drainage. My argument, shared by most Cape Codders, is that the soil is one giant sand filter - so, what's the problem? Read about this issue in the Cape Codder ... Here. Eastham - New Listing - This is a hard-to-find like-new (2005) 2nd floor condo unit in a mixed use condo complex. This unit has hardwood floors, gas heat, basement storage, laundry area, beautiful kitchen, a deck, and 2 good-sized bedrooms. Great space for a single, couple, or a young family looking for a clean, quiet space to live or simply retreat while enjoying Eastham's relaxed lifestyle. Listed at $199,000. For more photos, a virtual tour, and a map of this home, go to http://brittanysway.robertsheldon.com/. Call me at 508-237-9545 for a showing. There were 12 closings in June (up from 8 in May), with an average sale price of $471K, and a median of $384K. This year, June's closings totaled $5.7M. Last year's total was $2.3M. There were 52 closings year-to-date (6/30/10), up 73% from 2009's 30 sales. 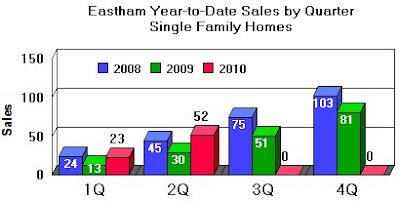 Currently, there were 98 homes for sale in Eastham, with an average list price of 628K, and a median price of $477K.